August 7th – 3pm @ Sea Dog Brewing Co.
August 8th – 5pm @ Three Palms Brewing Co. Between Pinellas and Hillsborough Counties, there are a good number of breweries. The more we can get these guys and gals together to keep innovating and creating, the better off the Tampa Bay beer scene will be. These types of collab brews is why Tampa Bay and the surrounding area is becoming an internationally recognized destination for beer lovers. 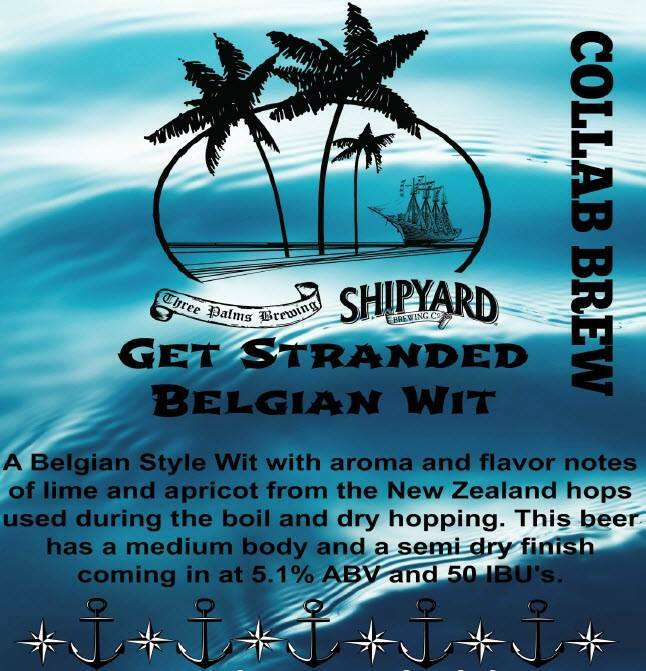 So, cheers to all of our brothers and sisters at Shipyard and Three Palms, for once again making our days brighter with this tropical brew!